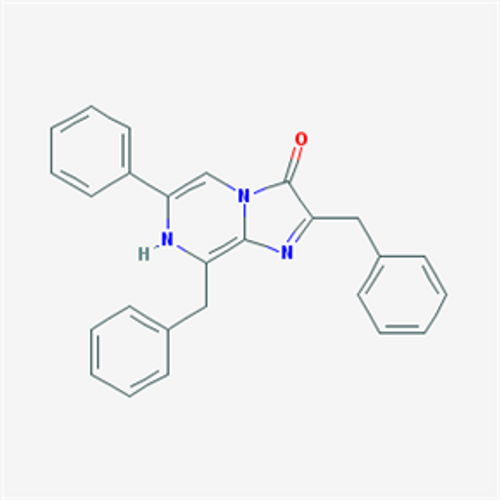 Coelenterazine, native; 2-(p-Hydroxybenzyl)-6-(p-hydroxyphenyl)-8-benzyl-imidazo[1,2-a]pyrazin-3-(7H)-one MOLECULAR BIOLOGY GRADE Coelenterazine is a luminophore found in aquatic organisms and is the substrate for many luciferase enzymes, including Renilla reniformis, Gaussia,..
Coelenterazine 400A is a derivative of coelenterazine and is a good substrate for Renilla reniformis luciferase (RLuc), but does not oxidize well with Gaussia (GLuc). 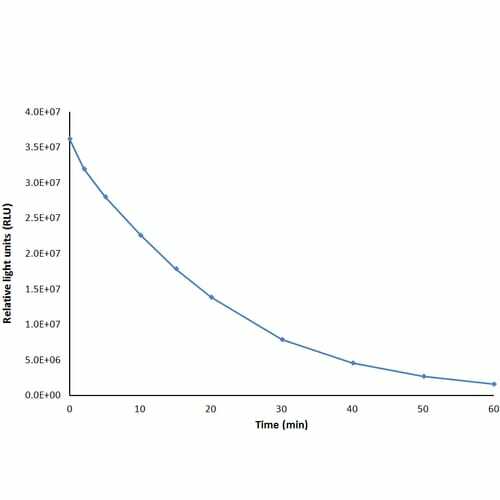 It is the preferred substrate for BRET (Bioluminescence Resonance Energy Transfer) since its emission maximum of 400nm has minimal in..
D-Luciferin Firefly, free acid 4,5-Dihydro-2-(6-hydroxy-2-benzothiazolyl)-4-thiazolecarboxylic acid Luciferin is a common bioluminescent reporter used for in-vivo imaging of the expression of the luc marker gene . 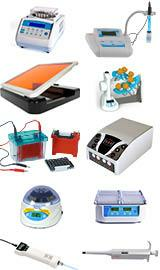 It is the substrate for the Firefly luciferase enzyme which utilizes ATP a.. 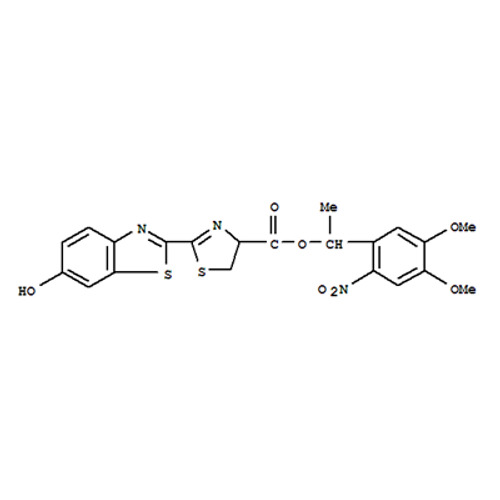 Tested and Certified for in vivo imaging (See "Luciferin FAQ" in additional information) Luciferin is a common bioluminescent reporter used for in vivo imaging of the expression of luciferase. 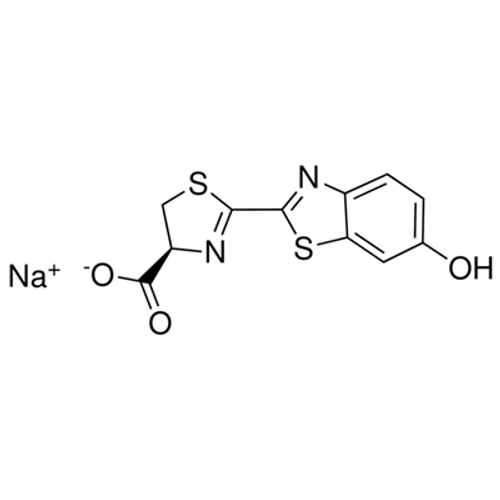 This water soluble substrate for the Firefly luciferase enzyme utilizes ATP and Mg2+ a.. Tested and Certified for in vivo imaging (See "Luciferin FAQ" in additional information) Luciferin is a common bioluminescent reporter used for in vivo imaging of the expression of luciferase. 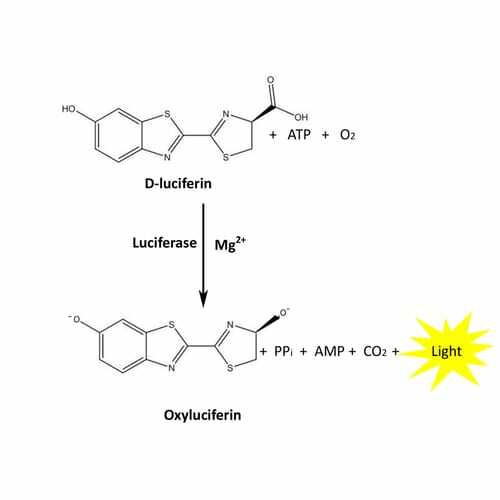 This water soluble substrate for the Firefly luciferase enzyme utilizes ATP and Mg2+ as.. 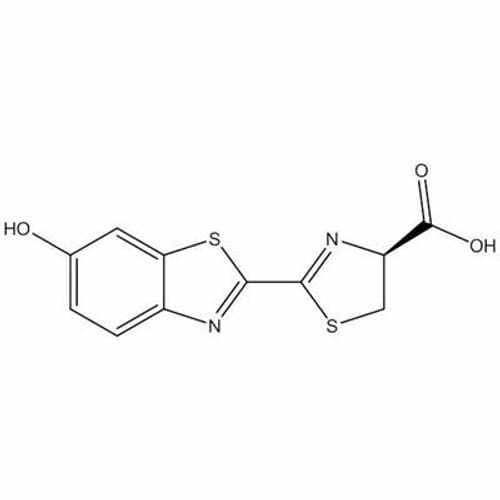 Tested and Certified for in vivo imaging Luciferin is a common bioluminescent reporter used for in vivo imaging of the expression of the luciferase . This substrate for the Firefly luciferase enzyme utilizes ATP and Mg2+ as co-factors and emits a characteristic yellow-green emission i.. Tested and Certified for in vivo imaging. 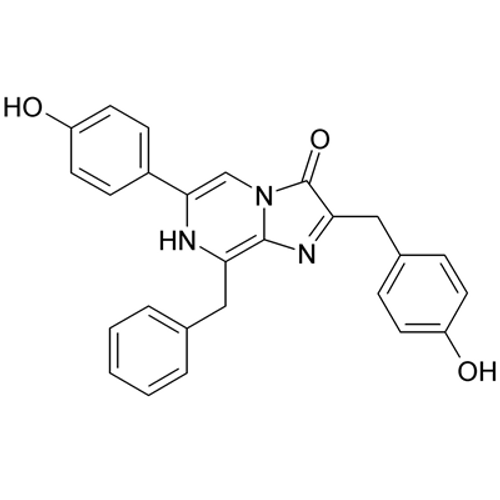 Luciferin is a common bioluminescent reporter used for in vivo imaging of the expression of luciferase. 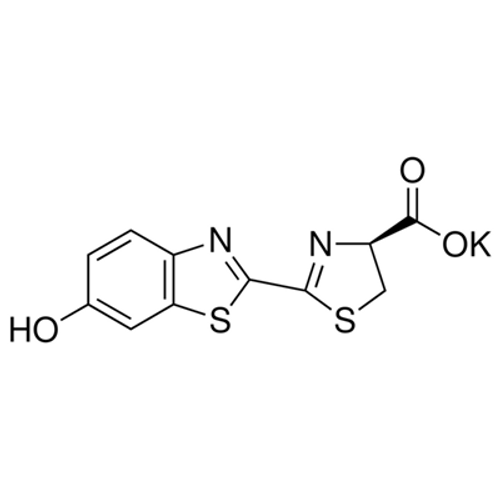 This water soluble substrate for the Firefly luciferase enzyme utilizes ATP and Mg2+ as co-factors to emit a characteristic yellow-green emission..
Firefly Luciferase Assays are one of the widely used reporter assays to detect and measure gene expression, function and regulation. 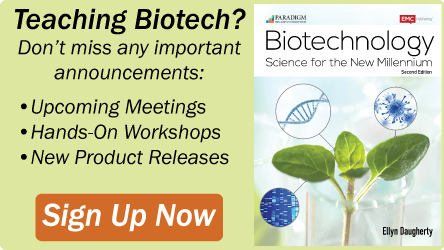 G-Biosciences Lumino™ Firefly Luciferase Assay is designed for rapid and high sensitive detection or quantification of firefly luciferase reporter enzyme ..